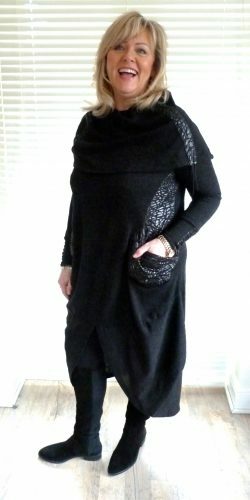 This is an incredibly wearable lightweight tunic style knit made from a lovely lightweight rayon mix yarn cut to flatter. The knit has a lovely wide scoop neckline with elbow length sleeves. 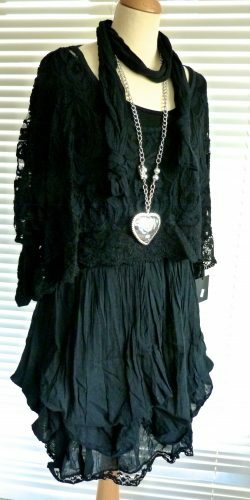 One size – suitable for sizes 10-16/18 or larger depending on your shape.